The poll bugle has been sounded, and political leaders are busy in delivering campaign speeches as per the culture and tradition of their respective parties. In one of such speeches, the leader of a party proclaimed that the vote this time around would be a choice between Gandhi and Godse. Those who follow Gandhian ideology pay special attention to their utterances and never take the name of Godse. I have participated in many such discussions on Gandhi ji in the Sangh but never heard Godse mentioned. It is indeed ironical that those whose actions and policies are in direct opposition to the Mahatma’s life and legacy, who rely on falsehood and violence as a political weapon, seek to use his name insincerely for narrow political gains. 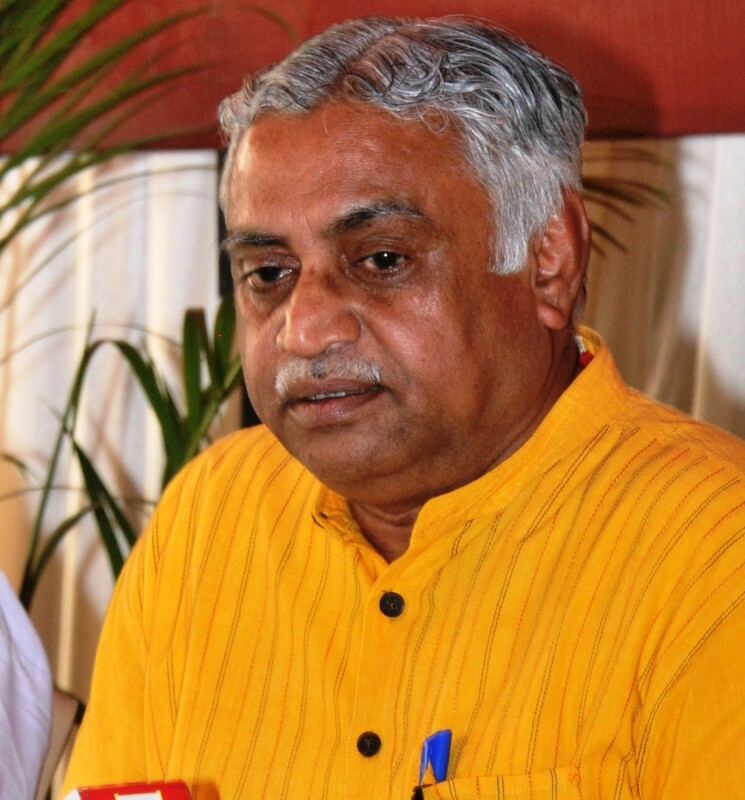 Like with most aspects about the Sangh, when it comes to the RSS’s relationship with Gandhi ji people often make presumptions without the requisite examination of the facts. Even so-called scholars rarely attempt a holistic study of the subject before writing their commentary. More often than not their study is selective and draws from material authored with a specific ideological perspective. The reality is, there is no relation of these thoughts with the ‘Truth’. In order to set the record straight, the material available on Mahatma Gandhi’s relationship with the Sangh needs to be carefully examined. Despite disagreeing with him and his surrender to the extremist and Jihadi elements among the Muslim community, the RSS has always admired his efforts to broaden the public support for Bharat’s freedom struggle through simple means like Charkha and easily acceptable method like Satyagraha and considered this as his greatness. If one understands Gandhiji’s insistence on constructive programmes like Gram Swaraj, Swadeshi, Cow protection and the abolition of untouchability, his affinity and perseverance for the eternal Hindu thought is undeniable. His value based life was an inspiration for the youth of this country for dedicating their lives in the national service. Dr Hedgewar, the founder of the RSS, was an active participant in the non-cooperation movement of 1921 and the civil disobedience movement of 1930. For his involvement, he served two rigorous prison sentences, from 19th August – 12th July and then from 21st July 1930 to 14th February 1931. When Mahatma Gandhi was sentenced to 6 years imprisonment on 18th March 1922, the 18th of every month was celebrated as the Gandhi Day. Whilst Gandhi Ji was in prison, some of his followers self-professed were serving their own interests in the name of patriotism. Doctor ji flagged this discrepancy in his speech on Gandhi day in October 1922, ‘Today is a very auspicious day. It is a day to listen and mull over the values and qualities found in the life of a noble soul like Mahatma Ji. Those who take pride in being called his followers have an additional responsibility to follow these qualities”. In 1934, when Gandhi ji was residing at Jamnalal Bajaj Ji’s residence, he attended a Winter Camp of RSS being conducted nearby and had a dialogue with Swayamsevaks. During the conversation, he was happy to learn that the camp included Swayamsevaks from the scheduled castes and everyone lives together as a fraternity. When Gandhi ji was staying in what was then called a Bhangi colony (the sweeper’s colony) after independence, a morning Shakha used to be conducted in front of his residence. In September, as per Gandhi Ji’s wishes, more than 500 Swayamsevaks above the mandal level assembled and Gandhi Ji addressed them. On 30th January 1948, when Sarsanghchalak Shri Guru Ji got the news of Gandhi Ji’s assassination, he sent a condolence telegram to Shri Devdas Gandhi, Pandit Jawaharlal Nehru and Shri Vallabhbhai Patel. Shri Guruji issued instructions to all Swayamsevaks of RSS to suspend all activities for 13 days in memory of Mahatma Gandhi and immediately concluded his journey and returned to Nagpur. On the 31st January, he wrote a letter to the Prime minister and Home minister, saying, “Yesterday at Madras I heard the shocking news that some thoughtless perverted soul has committed the heinous act of putting a sudden and ghastly end to the life of Poojya Mahatmaji by a bullet. This vile act is a blot on our society in the eyes of the world.” This entire correspondence is available in the book Justice on Trial and Complete works of Sri Guruji. “Under the title, ‘Future of Hinduism’ Gandhi ji said – ‘Hinduism means the one which does not stop, which grows with persistence, and is a path for the search of truth. Today this tired Dharma, does not appear to be helpful in inspiring to move forward. The day this tiredness is gone, there will be a grand explosion of Hindu-Dharma which has never happened in the past – so large in magnitude that Hindu-Dharma will be glowing by its own light in the whole world.’ It is our responsibility to fulfil this prophecy of Mahatma Ji. The country needs political and economic freedom. Likewise, there is a need for religious freedom as well that no one shall disrespect anyone, people from different sects and religions can live together. There should also freedom from shackles of foreign thoughts. This was the lesson of Gandhi Ji. I have met Gandhi Ji several times. I have also had discussions with him. I am saying this after studying the thoughts expressed by him. Therefore by experiences of my conscience, I have great respect for Gandhi JI. My last meeting with Mahatma ji was in 1947. At that time riots broke in Delhi. Even those who were non-violent by tradition had become cruel, rogue and heartless. I was in the same area at that time working to establish peace. In such an environment I met Mahatma Gandhi Ji. I said- “This is our misfortune. British used to say when we leave; you people will slit each other’s throats. Today, the same thing is happening. It is bringing disrepute to us in the whole world. It should be stopped. In the prayer meeting of that day, Gandhi Ji took my name with pride and expressed my thoughts. It was my great fortune that great Mahatma took my name. In this entire context, I reiterate that we should imitate Gandhiji. This speech and article have been published in collective works of Shri Guru JI, vol.1 page 208-221. Commenting about the relationship of Gandhi and Sangh without considering these facts is a disservice to the truth. The Sangh has kept Gandhiji’s ideals alive through its work on rural development, organic farming, cow-conservation and protection, social equality and harmony, imparting education in one’s own language and swadeshi economy and lifestyle and shall continue to do so. That is more than can be said for those who only remember him when elections are around the corner. 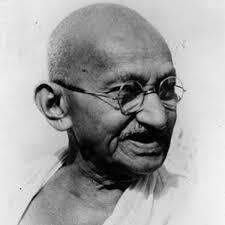 This year is the 150th birth anniversary of GandhijI. Humble tributes to his pious memories.